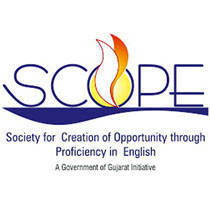 Society for Creation of Opportunity Through Proficiency in English (SCOPE) Published Recruitment Advertisement for Joint Chief Executive Officer (Joint CEO) Posts. View More Details About This Recruitment Including Total Posts, Posts Name, Qualification, Experience, Age Limit, How to Apply etc., are Given Below. Educational Qualification : A Post Graduate in English as Main Subject with at Least 55% and Excellent Proficiency in Spoken English from Recognized University of Gujarat / India. OR A Post Graduate Degree in Engineering / Management / Science / Commerce with at Least 55% from Recognized University of Gujarat / India, having Certificate in Spoken English / Functional English from Government Recognized Institute. Candidates having Ph.D. in Above Streams will be Preferable. Address : Society for Creation of Opportunity through Proficiency in English (SCOPE), First Floor, Faculty Block, Near L. D. Engg. College, Navrangpura, Ahmedabad.